The Seneca has been released in various purchase options over the years, resulting in many different types of installers. We have consolidated them into one simple installer for each version of the simulator. 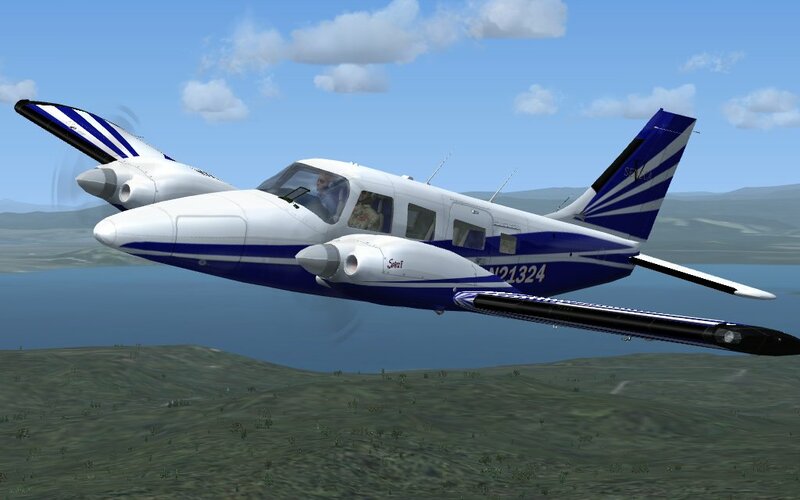 Each model has a custom version for both Flight Simulator 2004 and Flight Simulator X/Flight Simulator X Steam Edition. 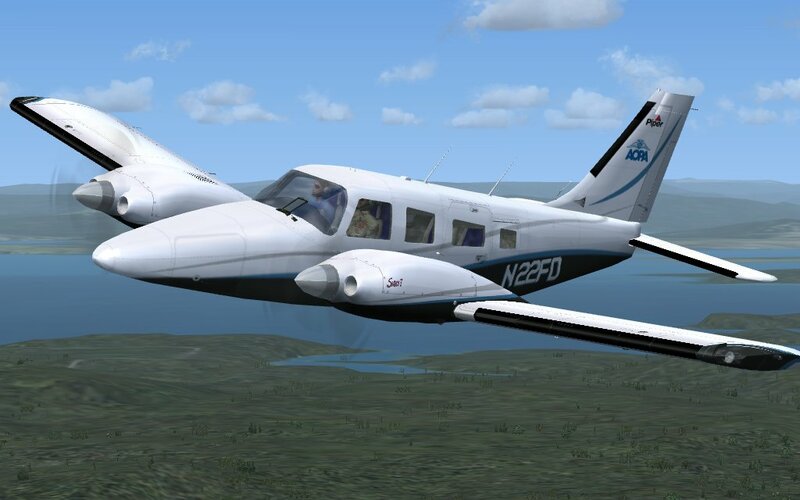 Be sure to download the file for the correct version of Flight Simulator, as outlined below. Regardless of whether you purchased each model new, as an upgrade, or as an additional version you can use the same installer. Additionally, each version includes 6 paint schemes, illustrated below. Do not select "Run" from the download link below, if that option is available. Best results will be obtained by first downloading the file to the Downloads directory that Windows provides for file downloads. Then execute the installer manually. Running installation files from over the Internet is prone to permissions issues and other problems that can all be avoided. All installers are 100% up to date and do not require the addition of any service release that may be available for previous installations.